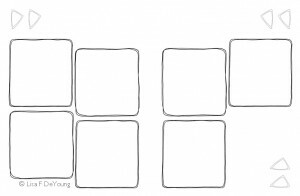 and creative play into your journaling practice? to go on a colorful & fun musings adventure! Details to order your Musings Adventure Journal below. 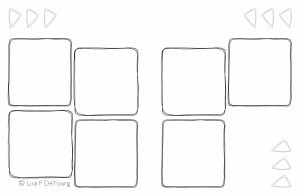 This creative logbook offers a fun and simple format to help you capture your everyday magic moments. My musings adventure practice began many years ago, although did not call it that back then. I first started with day planners that I bought. I’d log my workouts, my adventures, my thoughts, and feelings. Soon these day planners began to feel restrictive, especially because they never gave me the same space for each day of the week. I almost started believing they were made for people who didn’t like the weekend – and fun and play. After I was sure I wasn’t going to find the kind of journal I needed to fulfill my desire for a different kind of space, I began creating my own design, using blank spiral bound journals. I experimented with how I wanted to use the space, creating each week by hand. Creating week by week and month by month, I was perpetually behind and sloppy. And so the Daily Musings Journal, which offered a dated year-long musings adventure experience, was born. After 5 years of publishing this dated version, I am no longer doing this. And you can still create the same experience with the Musings Adventure Journal! to capture your everyday magic moments. what did I put in my mouth? …or whatever inspires you on a given day! Inspiration to get your musings adventure started is also included!! I love to doodle about my ski days, bicycle rides, hikes, and other adventures in the outdoors; I like to muse on the creative process to capture ideas I have for sharing with you, dear creative soul. My musings journal helps me sense the passage of time while capturing my everyday magic moments. Do you wish to have a different kind of space for your musings, a journal that makes the whole practice of journaling more fun – and simple? If yes, come on in and start your own musings adventure! No dates so you can jump in and out any time. The clean black and white design lends itself – begs, really, for color! Thin line markers and colored pencils work really well. It’s also fun to use a plain old lead pencil to create a lovely monochromatic look. 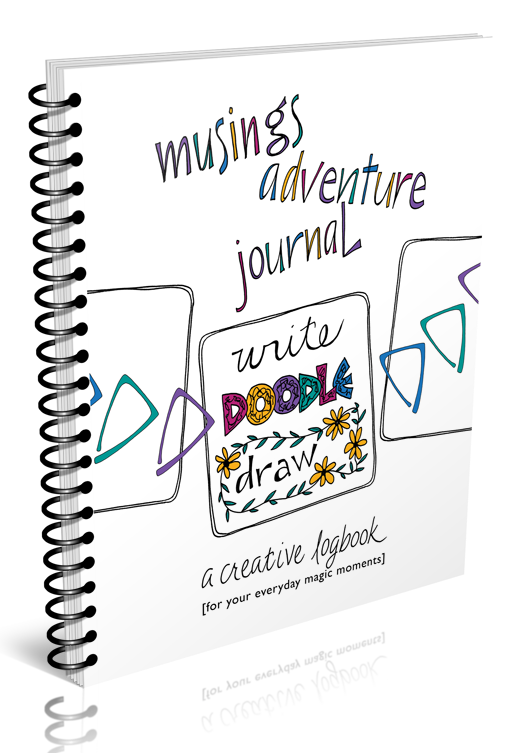 If this journal sounds, feels and looks like something that will give you fun space to muse and create in grab your copy today! NOTE to Coloradoans outside of Salida: I am no longer able to sell and ship within the state (outside of Salida, CO) because of the new state sales tax regulation. These regulations make it too complex for a one-woman shop to administer. 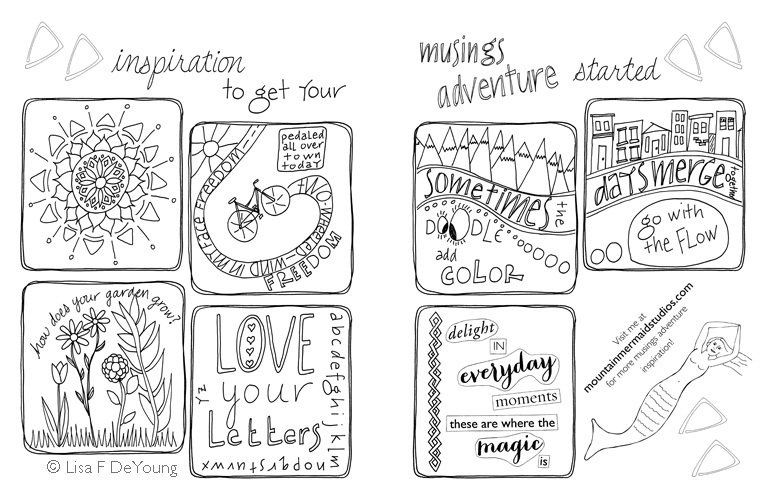 You can buy the Musings Adventure Journals at Two Hands Paperie in Boulder, and Howl Mercantile in Salida. They may even be able to ship to you if you are elsewhere in the state. Thank you for your understanding – hopefully the state will figure out how to simplify its new regulation in the future. If you’d like to purchase a larger quantity, please contact me directly at lisa (at) mountainmermaidstudios (dot) com. Three or more journals will be $25/each and shipping from three to six within the United States is $16. I’m happy to work out the appropriate shipping for whatever quantity you’d like, and get the journals shipped right out to you! Thank you! NOTE for International Peeps: For ease in shipment please add your phone number in note to seller in Paypal. Thank you! !